Want do you get when three living legends all hang out together in the same room? The literal definition of squad goals, that's what! 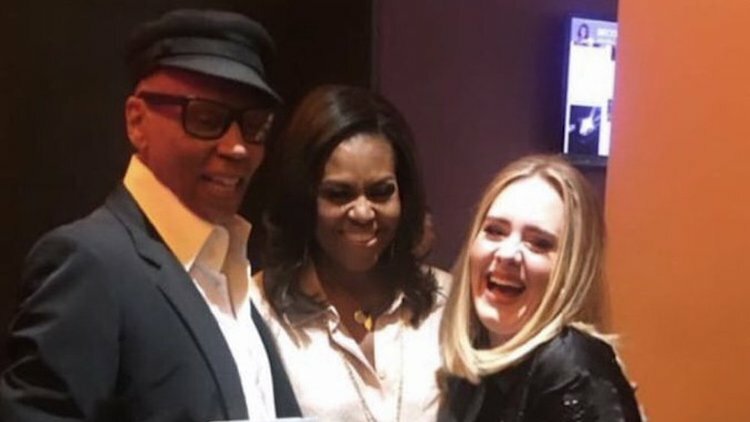 After being interviewed at London's O2 Arena last night by Stephen Colbert to talk her autobiography Becoming, former First Lady Michelle Obama hung out backstage with drag legend RuPaul and Oscar-/Grammy-winning vocalist Adele, and from the looks of pics taken from their kiki, it was just as epic of a gathering as we expected.